OK, Google just announced the new features to come in Android P and there's quite a bit to be excited about! While select smartphone users are now able to install the beta and enjoy some of the new features, the rest will have to wait until whenever the full version hits their handset in the latter half of 2018 or later. Gesture-based interface — the home button turns into a mini-scrollbar, which lets you swap between apps or open the app drawer via simple swipes. Digital Wellbeing — your phone will let you know how many times you've been distracted by a notification, how many times you've unlocked it, and how many hours in total you've spent staring at its screen. That, combined with a refined DnD mode will help you achieve "better balance with technology", Google says. Adaptive Battery — we've been hearing promises for battery life improvements for years now — Project Volta, Doze, improved Doze, and now it's Adaptive Battery. Basically, Android P will use deep learning to know which apps need to run in the background and which ones can be killed to save power. Of course, it's probably much more sophisticated than that. App Actions — going one step further than just offering you the top 5 apps you are most likely to use in this very moment, App Actions will display shortcuts of actions within apps that you are most likely to be performing during this time of day and your current location. So, it can suggest a call, a favorite Spotify playlist, an Uber order, and more. These seem to be the 5 major new features thus far. Which one would you say is your favorite? 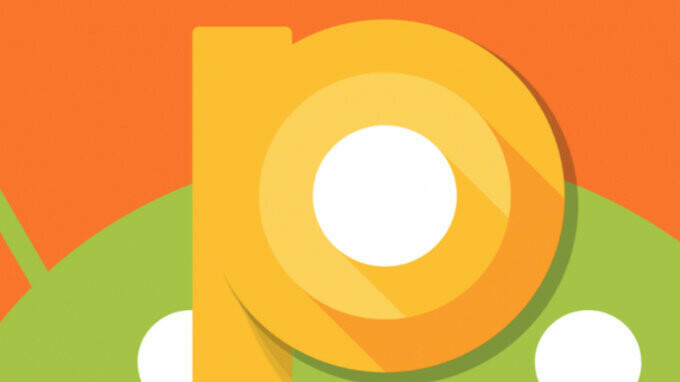 What's your favorite Android P feature? I think the new animations are fantastic! Wasn't sure I'd like the gestures with the app switcher, but it's like a well thought out version of the iPhone X half pull from the bottom that works really well. The word "disappointing" is too nice. It's frightening to see Google's lack of vision in the future of Android. "The word "disappointing" is too nice." Your life seems “terrible” or I can say "piyath-etic. But hey my condolences are with you. I cannot be sure if this is lack of vision or pragmatic business decision; the most powerful OEM partners of Google in the Android ecosystem are Samsung and the Chinese OEMs like Xiaomi, Huawei etc. All these Chinese OEMs -and Samsung to a lesser extend- tend to copy Apple notoriously. Even if Google didn't see any big reason to follow Apple's footsteps towards a gesture based interface, the most commercially successful OEMs would anyway do so with their respective skins. So, this is the only way for Google to keep some control and consistency in their own ecosystem; to basically follow the wishes of their clients and kurb their overenthusiastic iOS copying tendencies by offering their own version of a middle of the road solution between blind copying and totally different interface. If brands like Sony, Motorola or Nokia were more successful commercially, then Google would have more creative freedom. Nothing compelling but I suppose adaptive battery and slice apps could be ok. The adaptive battery sounds awesome! Indifferent about the gesture stuff. The digital well-being is interesting and I'm also indifferent about app actions. The adaptive battery would easily be my favorite feature... if I get any sort of distinguishable increase of battery life. But extended battery life has been an annual promise from Google and every year they continue to fall short of my expectations. Dat "back" button. RIP design. I downloaded the beta Android P. The navigation buttons stayed the same as the past several versions of Android, I had to go into the settings to enable gesture navigation. It's, taking a bit of time to get used to, but it's starting to grow on me. I appreciate the minimalistic approach to the interface. Swipe gestures are cool. Side scrolling task switcher is lame. Gestures, adaptive battery, digital wellbeing, app actions and slices too! Liking this update much more than Oreo. Glad to see gestures being natively part of android as my first smartphone was a Palm Pre and I loved webos especially the gestures it was a joy to use! Hope Google takes inspiration from webos going forward with the gesture additions to android. all of them are great except the new system navigation. they basically just took the recent apps button and hid it behind a swipe gesture, seems like adding extra steps to me. and swiping up to see your apps? are we really that desperate to take that much off of the home screen as possible?